Each morning we hold an Assembly for Reception, Year 1 and 2. and once a week for Rising Reception. It is a wonderful opportunity to impart important messages and life skills which we deliver through stories and drama. This term in our mid-week Assembly, we are concentrating each week on a different aspect of staying safe. We have already heard about water safety, e-safety and what do if you get lost. 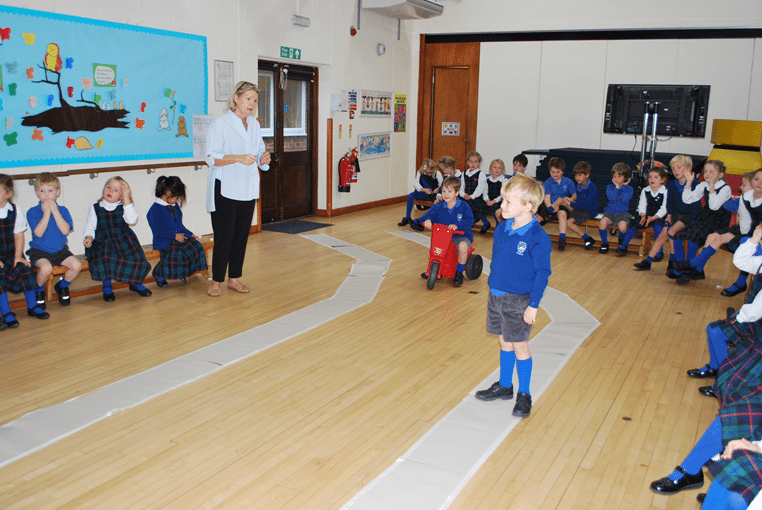 This week, Mrs Smyth turned the sports hall into a roadway and we learnt how to stay safe near roads. Next week it will be fire safety.